Inevitably, all conversations in China turned to its weakening economy and whether this would affect the art market. Dealers tended to be upbeat though, according to collector Qiao Zhibing, the market has slackened: “Before the slowdown, buyers would have ‘definitely want’ and ‘maybe’ pieces and buy both; now they only buy the ‘definite’ ones,” he said. However, he added: “The rising middle class is interested in art and will buy to decorate their homes, and this will grow the market here”. Big buyers will still be focused on ultra high-end paintings (the big uptrend of 2015 was mainly driven by a few unprecedented sales), while less prominent buyers might have a closer look into photographs as soon as the Chinese turmoil eases. Prices will certainly surpass previous tops when buyers will be more educated about the inner value of photography: cheaper and timeless, while less complex than modern art. I’m wondering if the average price of paintings will be sustained in the coming years : Will there be as many impressive lots ? 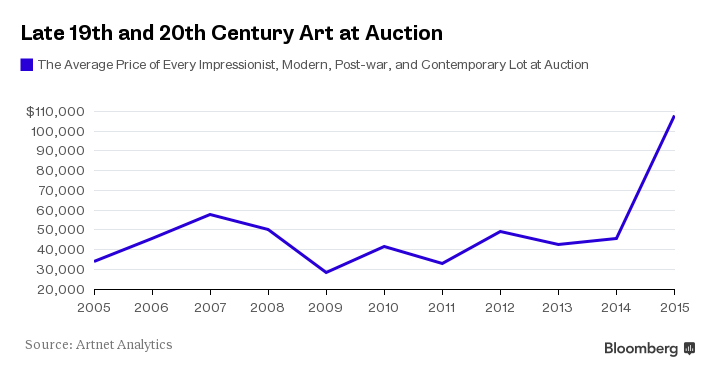 Will this lack of liquidity in the high-end inflates lower, fairly priced works ? 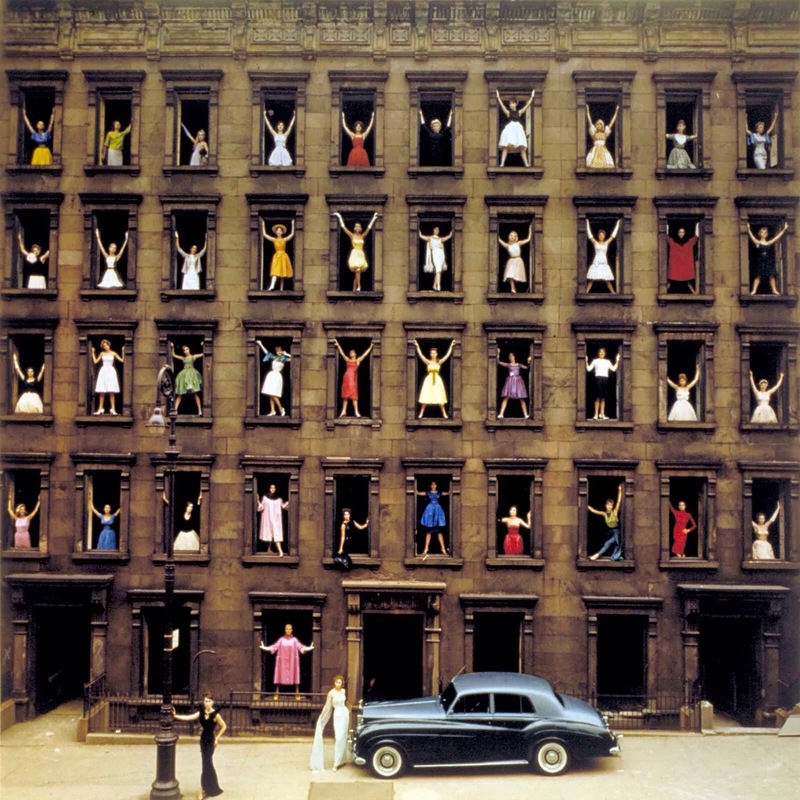 Will there finally be a move into photographs ? The fact that prices may at least stay flat, or fall in a context of moderate economic growth would not be unsurprising but it is the sign that prices in the market will move closer to home, at a less inherently speculative level. 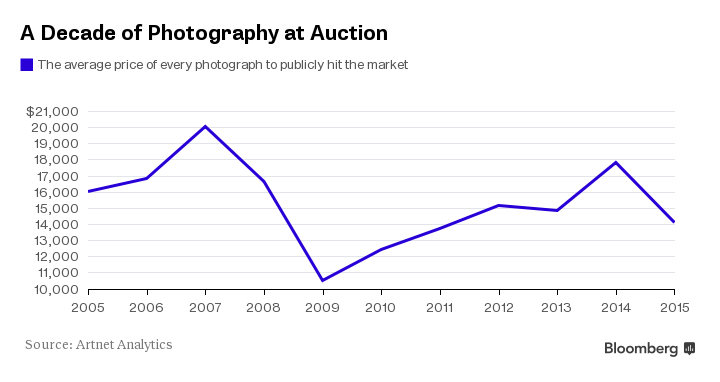 Is Photography the Best Deal in the Art Market? From this vantage point, nope. But I don’t think comparing both (a bubble and a niche market, except for a few odds like this expensive piece of sheet) makes much sense right now. But to be fair, price irrationality isn’t the only factor for this asymmetry : a 19th-20th century painting is obviously more valuable then any photography will ever be. So my guess is that to compare both mediums fairly, you need to be equally unfair, like this Bloomberg report, and reverse periods : the old masters of photography from the first half of the 20th (HCB, Klein, Brassaï) against 21th century contemporary painters. Maybe that would help, maybe not —Chinese painting is quite expansive while worth it.